Getting your younger bands to groove has never been easier! 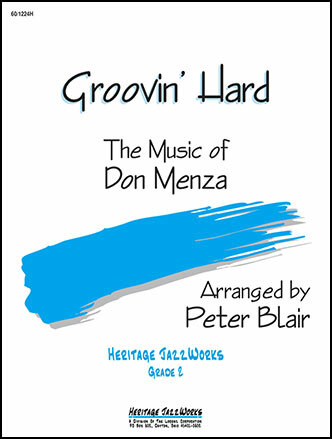 Straight from the library of The Buddy Rich Band, this great version of the classic Don Menza chart is perfect for younger players. Used in contest for many years by advanced bands, this arrangement gives you a solid, hard swing at a medium tempo coupled with some tasty sax section work, all within the reach of junior high groups. There are no solos, so use this one to feature your tight ensemble work and groovin' swing style. Guaranteed to make your band sound like pros!